The Yarra River is one of Victoria’s most iconic waterways, integral to Melbourne’s identity and the liveability of the city. The river traverses more than 200 kilometres of urban and rural landscapes and across many thousands of hectares of private and public land. The Yarra is the major source of Melbourne’s drinking water and a biodiversity corridor supporting diverse life forms. It has particular spiritual and cultural significance for Aboriginal communities. To the Wurundjeri people the river, known as Birrarung, was the life source and an important meeting place. The Victorian Government has committed to protecting the Yarra River’s amenity and significance by introducing legislation, stronger planning controls and a Trust (or similar entity) to ensure this valuable asset is protected for the benefit and enjoyment of future generations. The Victorian Government released the Yarra River Action Plan in February 2017. It contains 30 actions to ensure the long-term protection of the Yarra River and its parklands. 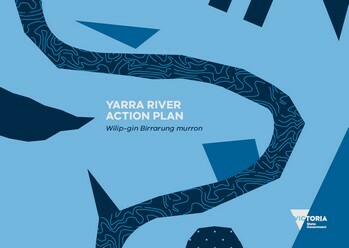 The action plan is the government’s response to recommendations made by the Yarra River Protection Ministerial Advisory Committee (Yarra MAC) in its final report, which was presented to the government in late 2016 and released alongside the action plan. In 2017, landmark legislation passed through the Victorian Parliament to protect the Yarra River for future generations. In an Australian first, the Yarra River Protection (Willip-gin Birrarung Murron) Act 2017 enables the identification of the Yarra River and the many hundreds of parcels of public land it flows through as one living, integrated natural entity for protection and improvement. Additionally, to underline the importance of the public parklands and open spaces along the Yarra River within metropolitan Melbourne, the Act allows these to be collectively declared as the Greater Yarra Urban Parklands. The Act is the first ;in Victoria to use the language of Traditional Owners in its title, and one of the first in Australia to include Traditional Owner language in the Act's body. Woi-wurrung language is used in recognition of Traditional Owners’ custodianship of the river and connection to the lands through which the river flows. The Government has established a new statutory body, the Birrarung Council, to provide a voice for the Yarra River. The Council will provide independent advice to the Government on the implementation of the Yarra River Protection (Wilip-gin Birrarung murron) Act 2017 (the Act), to ensure the ongoing protection of the river - its health and the community values it provides. This is the first time in Australia that a river and its surrounding public land is being recognised as one living and integrated entity for protection and improvement. The Act made Victorian Parliament history as the first Act to be co-titled, along with part of its preamble written in Woi-wurrung, assuring Traditional Owners a permanent voice in the planning for and management of the Yarra River. 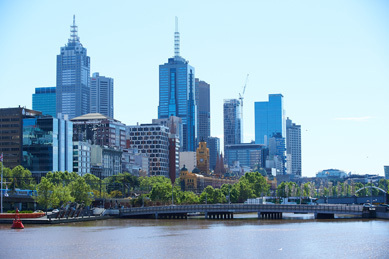 The appointed members bring to the Council a broad range of knowledge, industry experience, passion and advocacy for the protection and improvement of the Yarra River and surrounding area. The Birrarung Council members include Traditional Owners, environmental and agricultural industry groups, Yarra River land local community groups and other members selected for their specific skills. The Act provides for the preparation of an unprecedented, holistic Yarra Strategic Plan to coordinate 14 public entities that operate along the river corridor, to guide future use and development and identify areas for protection within the Yarra corridor. Melbourne Water is leading the preparation of the Yarra Strategic Plan. Written submissions received as part of consultation on the Yarra MAC’s Protecting the Yarra River (Birrarung) discussion paper, as well as a report summarising community feedback is available to read. In December 2015 the Minister for Planning and the then Minister for Environment, Climate Change and Water appointed the Yarra River Protection Ministerial Advisory Committee (Yarra MAC) to provide independent advice to government on the key issues and opportunities for the river as well as improvements to governance arrangements. As part of its deliberations the Yarra MAC sought feedback from the community on the key issues and opportunities for the river. A discussion paper, Protecting the Yarra River (Birrarung) outlined the key issues and proposed a new management model for the river. The discussion paper was released on 1 July 2016. It was available for public comment until 8 August 2016. In all 195 written submissions were received from local governments, agencies, friends groups, community groups and individuals. During the five-week consultation period more than 270 face-to-face conversations with stakeholders and the community were held. The Yarra MAC considered all written submissions and feedback from community and stakeholder engagement events. That feedback informed the Yarra MAC’s report and recommendations, which were presented to government in late 2016. The government considered the advice of the Yarra MAC and released its response and proposed action plan for the river on 26 February 2017. The government has committed to bringing a consistent and stronger approach to managing development along the Yarra River. This project implements strengthened state planning policy and delivers consistent local planning controls that protect the Yarra River between Richmond and Warrandyte - an area which is under immediate development pressure.